Halifax, NS – The world-famous, internationally beloved Vienna Boys Choir is set to arrive in Halifax for two rare performances with Halifax Dance and Symphony Nova Scotia on January 30 and 31, 2016. 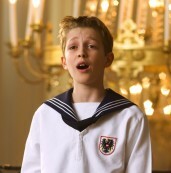 The first performance will feature the Vienna Boys Choir as the headliner of Halifax Dance’s grand Viennese Opera Ball, happening Saturday, January 30, 2016 at Halifax’s World Trade and Convention Centre. The Opera Ball is a unique and extraordinary performing arts gala that serves as Halifax Dance’s major annual fundraising event, raising funds to support programming excellence and outreach activities. Highlighting the traditions and elegance of the Grand Balls of Europe, the Opera Ball features Symphony Nova Scotia’s full orchestra along with fine dining, ballroom dancing, and a special performance from the National Ballet of Canada. Then, the choir’s angelic voices will partner with Symphony Nova Scotia for a sold-out joint concert on Sunday, January 31, 2016 at 2:00 pm at the Rebecca Cohn Auditorium in Halifax. This will mark Symphony Nova Scotia’s first-ever full performance with this iconic choir, and highlights will include choral favourites from Brahms, Mendelssohn, and Schumann. Plus, the concert also features a virtuoso performance from Canadian French hornist Louis-Philippe Marsolais, performing Mozart’s delightful Horn Concerto no. 2. “We cannot wait to welcome these 24 extraordinary young men and Choirmaster Oliver Stech to Nova Scotia,” says Leah Hamilton, Executive Director of Halifax Dance. “We are very fortunate to have such thoughtful and generous supporters as the Fountains in our community,” says Chris Wilkinson, CEO of Symphony Nova Scotia. The concert with Symphony Nova Scotia on Sunday, January 31 is sold out, but there are a few tickets remaining for the Viennese Opera Ball. Please contact Amy at 902.422.2006 ext. 2 for details. Symphony Nova Scotia with the Vienna Boys Choir – SOLD OUT! What is the Vienna Boys Choir? No group of child musicians has won more renown than the incomparable Wiener-Sängerknaben, founded by Emperor Maximilian I in 1498. Six centuries later, the famed Vienna Boys Choir continue to delight music-lovers across the globe with their purity of tone, distinctive charm, and a diverse, crowd- pleasing repertoire that encompasses Austrian folk songs and waltzes, classical masterpieces, beloved pop songs, holiday favorites, and medieval chant. Gifted musicians with voices of unforgettable beauty, they carry on an illustrious tradition as the world’s preeminent boy choir who present timeless music with a universal popular appeal. With its broad repertoire, a Vienna Boys Choir performance is never just a concert for classical aficionados – it’s a musical event that appeals to all ages. This world-class ensemble gives 80 concerts a year in North America, most at near capacity or sold out. For four decades, Halifax Dance has been nationally recognized as a leader in dance education and development. Established as a not-for-profit society in 1973, Halifax Dance is an integral part of the region’s artistic life, educating dancers of all ages, abilities, and communities. Along with their core recreational programs for children, adults, and teens, Halifax Dance offers a highly recognized pre-professional Intensive Training Program, a Company in Residence program, and an Inclusive Movement program for children and youth with special training needs.